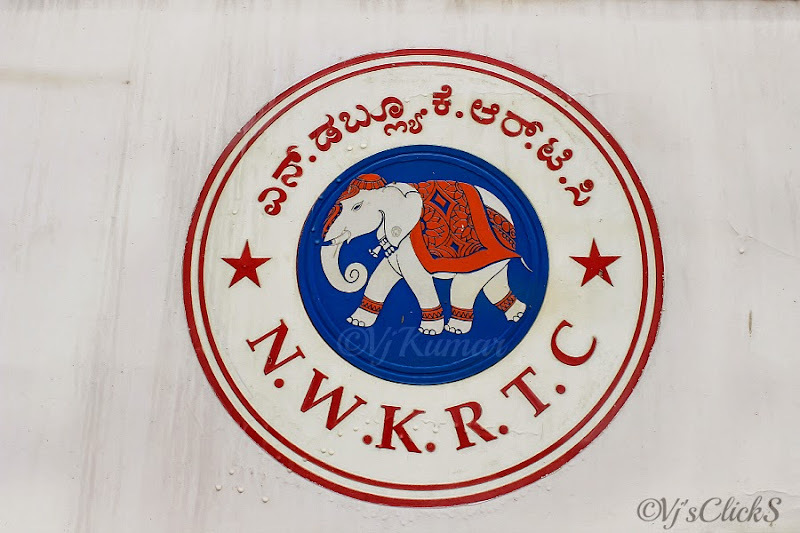 Service: NWKRTC Express (Pancharangi)/KSRTC Airavat. It was not up until Thursday that I decided to book my return tickets to Bangalore. Since, I was returning from Sagara, I had decided to try a sleeper service from a famous private operator. However tickets were costing upwards of Rs 700+ for the 380kms ride back home. 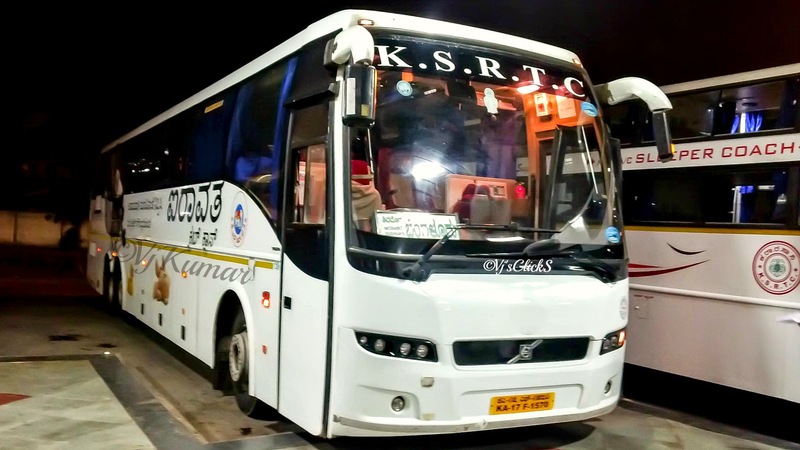 Finally, I checked with Namma KSRTC and found the sleeper buses were booked with last row seats available leaving Shimoga as the optimal choice to board a direct ride to Bangalore. With lot of confusion, I booked the 22:00hrs Airavat ride to Bangalore. Only after the booking went through, I noticed the glitch in the website and the departure time was mentioned as 23:00hrs. Since I had nothing important to do once I reach home, I did not bother for the delay in the departure timings. While I booked a front row seat no 1 ride on a relatively empty bus, my family had already had their tickets booked on the Talaguppa express departing from 20:30hrs from Sagara. After a power packed meal, I headed towards Sagara bus stand. A relatively empty bus stand greeted me with few buses heading towards Sirsi. 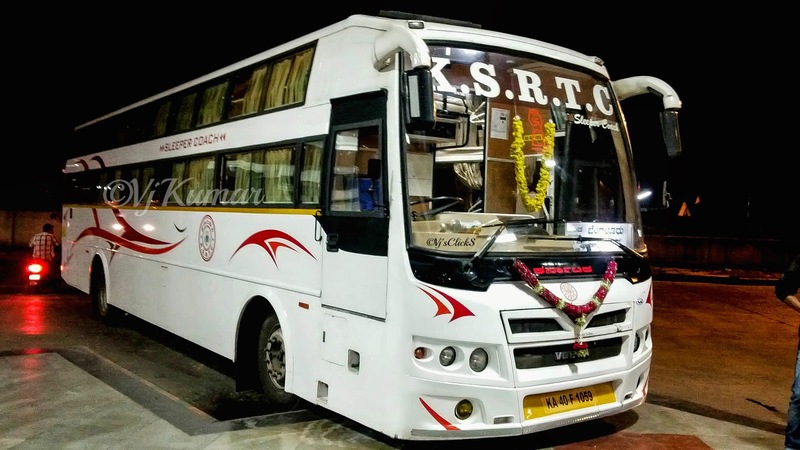 I waited patiently for 20minutes and with patience thinning out; I decided to try the numerous private operators who were calling out for passengers across the street to Shimoga. 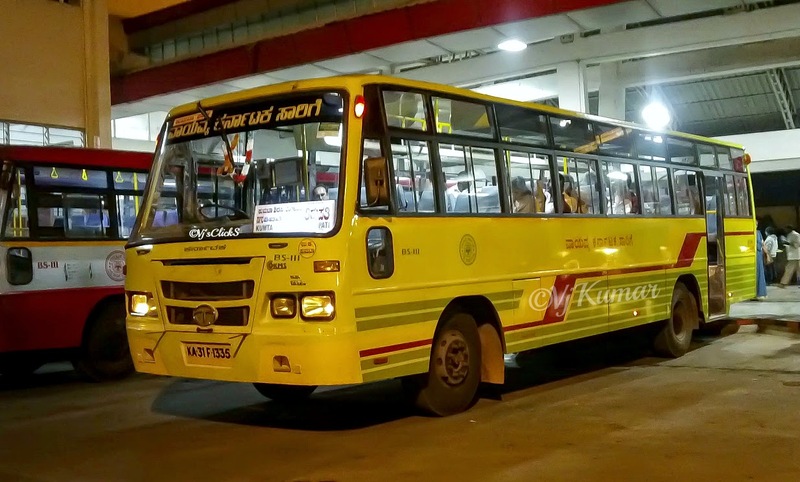 I headed out of the bus stand was about to cross the street when the beauty from Kumta depot operating Kumta-Bangalore-Tirupati honked her way towards the bus stand. I immediately made my way back into the bus stand. I boarded the bus and grabbed a seat next to the conductor and settled down as the bus began to move out of Sagara. The roads leading out of sagara was empty and within no time, the bus crossed into Anandapura. I decided to get some sleep and the last thing I remember was the bus overtaking slow moving vehicles ruthlessly on the highway. 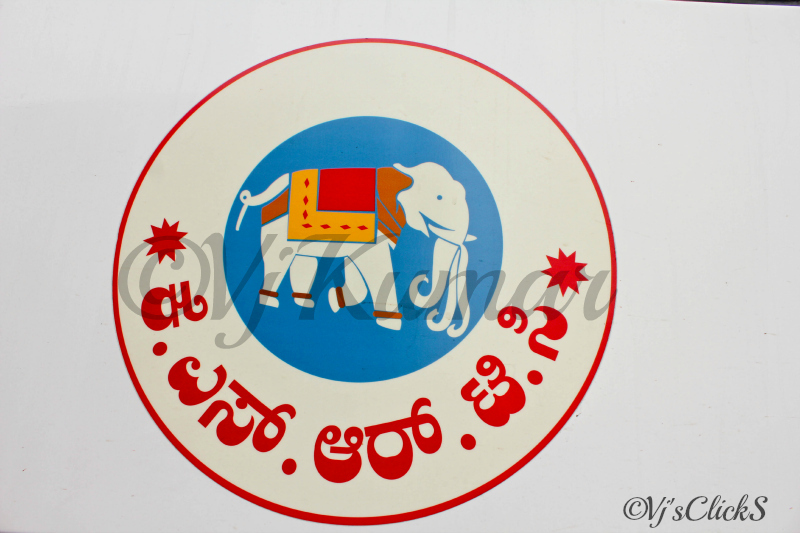 When I woke up, I had reached Shimoga and the bus made its towards Shimoga Bus stand. I bid goodbye to the gleaming beauty and now the never ending wait for my B7R began. While my friend kept me accompanied on the phone line, I spotted the Humcha-Bangalore non a/c slepper pull into the platform. After a few minutes, a battered Airavat pulled into the platform. Then, it was time for the big guy, Club Class to make an entry followed by 2 more sleepers. The relatively empty platform was now buzzing with passengers and finally running late by over 45mins, the Mysore-Mumbai Club Class made an entrance. Finally at around 10:30pm, I spotted my bus ready for boarding. The bus was operated by a DnC (Driver/Conductor). I stashed my luggage and found the bus was almost full. I checked with the driver and found the bus was running full with just 3 seats in the last row empty. At around 10:50pm all the passengers had boarded the buses including 2 more passengers who dashed in for the remaining seats. However, there was a slight hitch. The guy who is responsible for making an entry for these buses at the bus stand was missing and every other crew were searching for the same. After a good 15minutes delay, he showed up and with all set and done, we pulled away from the platform by 11:15pm, a good 15minutes delay. During this time, my family called up to say that they had just departed from Bhadravati station. The empty roads leading out of shimoga was inviting enough for our man to make up for the lost time. 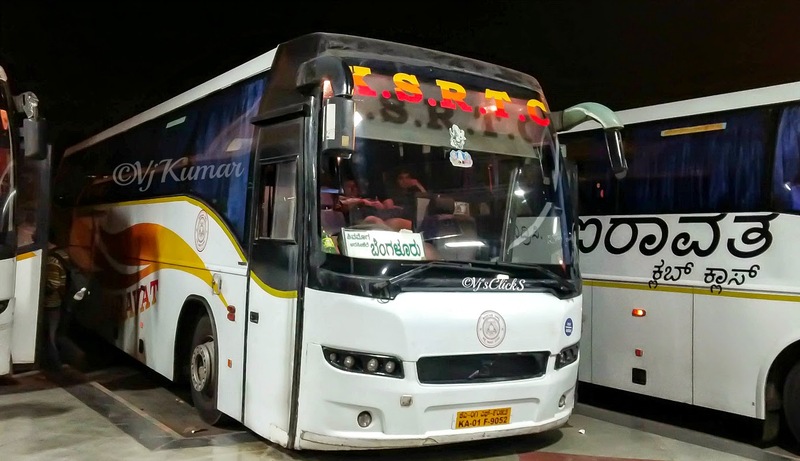 The delay in the departure ensured passengers boarding the bus in Bhadravati call up the driver for the whereabouts of the bus. We reached Bhadravati in no time and took the remaining 14 passengers who had reserved their tickets. The last seat was also taken and we departed with a full load towards Bangalore. I had no intentions of missing up on my sleep and without delay, settled in for a comfortable nap. The suspension of a Volvo can only be enjoyed if you are sitting in the front or at the rear. I woke up once near Arsikere to find a battered ‘Volvo’ from Depot-4 which was overtaken in a flash. I vaguely remember the bus stopping a couple of time and noticed the driver wipe the glass as fog had made the driving a little less comforatable. At around 4:00am, I woke up to find the bus in Dabaspet toll. Traffic coming from Bangalore was heavy with vehicles lining up from the opposite end. Around 4:15am, I received a call from my family stating that their train had reached Bangalore and is about to enter the platform. At this juncture, we were doing some good speeds and were nearing T.Begur. Luckily, traffic at the Nelamangala toll was thin. As always we took the Yeswanthpur expressway and the driver floored the bus towards the first drop off point at Gorguntepalya. The next stop was at Yeswanthpur followed by Navrang. At this juncture, I called up my family who had just come outside the railway station and were waiting for the Radio cab they booked. I was dropped off at Rajajinagar Entrance at 4:40am. With that my last bus ride for the year 2014 was complete. This was one of the fastest ride I had ever traveled covering a distance of 305kms (appox) with little less under 5hours. With the above journey, I completed a total of 23000kms of Bus journeys across Southern India which also included numerous rides to Mumbai. Though I have shared most of the reviews here, I will not be able to forget even a single journey and those innumerable moments I have enjoyed all along. Hoping to see an equally excited, fun filled 2015.